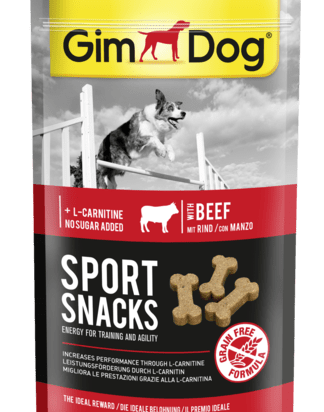 GimDog Sport Snacks with beef are prepared according to a grain-free formula, contain lots of tasty beef and performance enhancing L-Carnitine. When fed in conjunction with exercise, this special ingredient reduces fat build-up in tissues and boosts the metabolism. Ideal for training and agility.